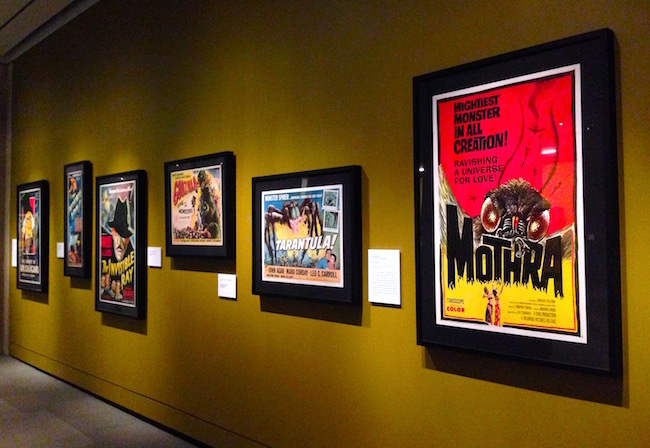 It’s not often that you get to combine the serene, intellectual activity of museum prowling with the creepy-cool aesthetic of Halloween, but the Peabody Essex Museum in Salem, Massachusetts is allowing visitors to do just that. 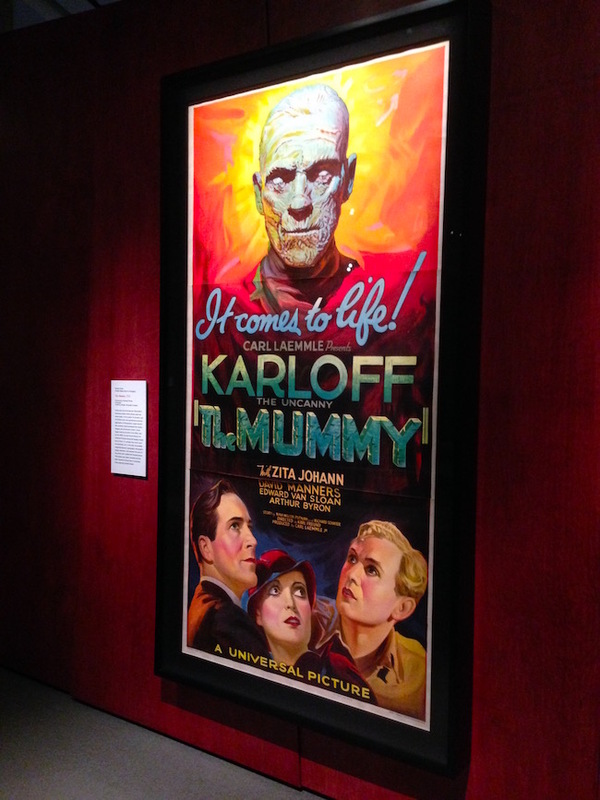 Their newest exhibit, It’s Alive!, is a showing of vintage horror and science-fiction art courtesy of collector and Metallica guitarist Kirk Hammett, which features decades-old art for classic films like The Mummy and What Ever Happened to Baby Jane?, and props, like a costume worn by Boris Karloff in the 1934 film The Black Cat. 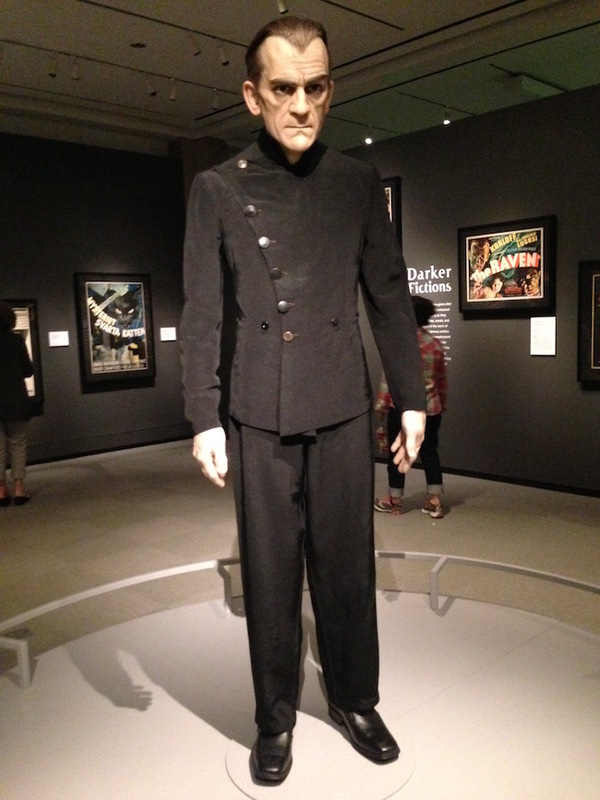 Immediately upon entering the exhibit hall, you’ll find lowered lights and a scene from the film Nosferatu projected on the wall in your immediate field of vision. 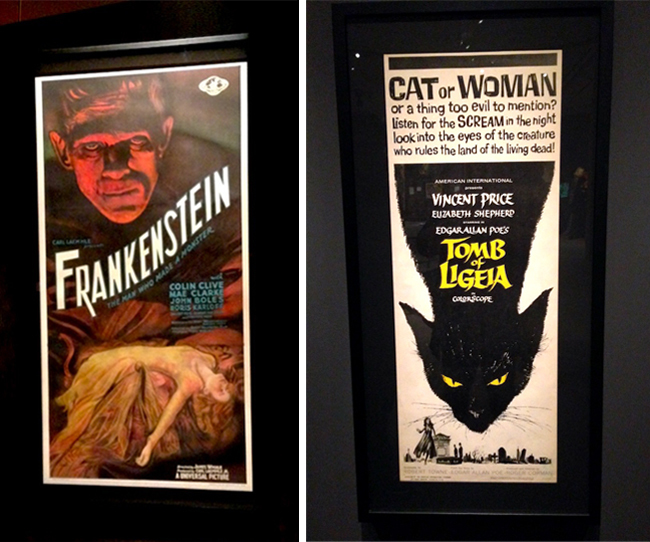 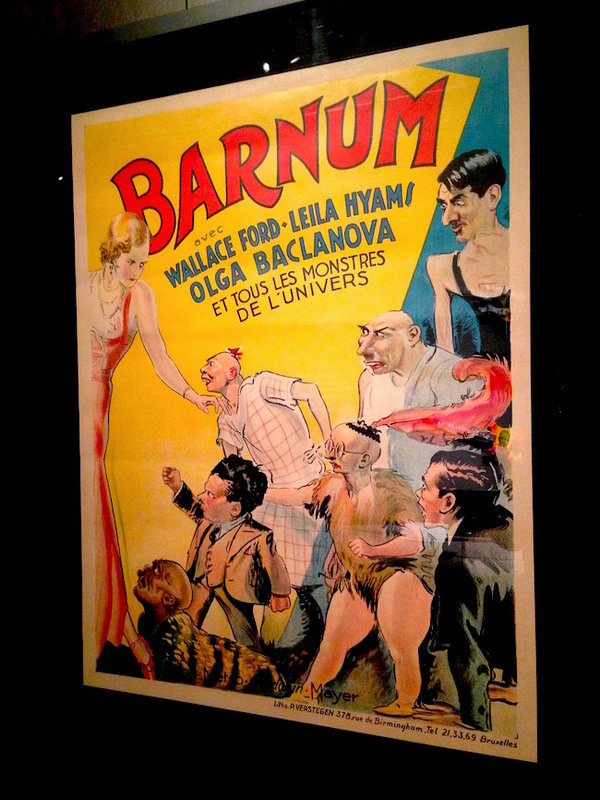 Every wall is covered in beautiful promotional posters for all of your favorite horror classics, which you could easily imagine hanging in the decadent theater lobbies of yesteryear. 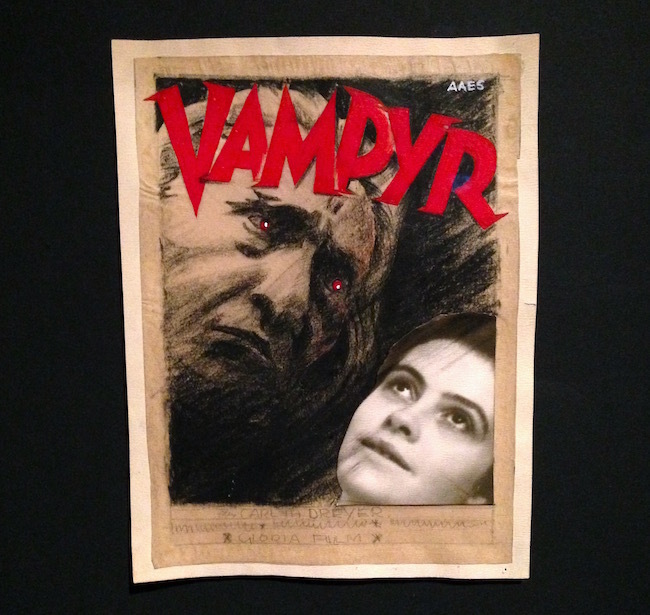 There’s even a poster mockup for the film Vampyr on which you can see the original mixed media cut-and-paste and penciled-in design notes. 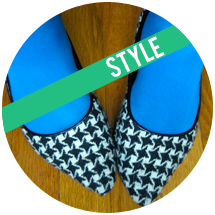 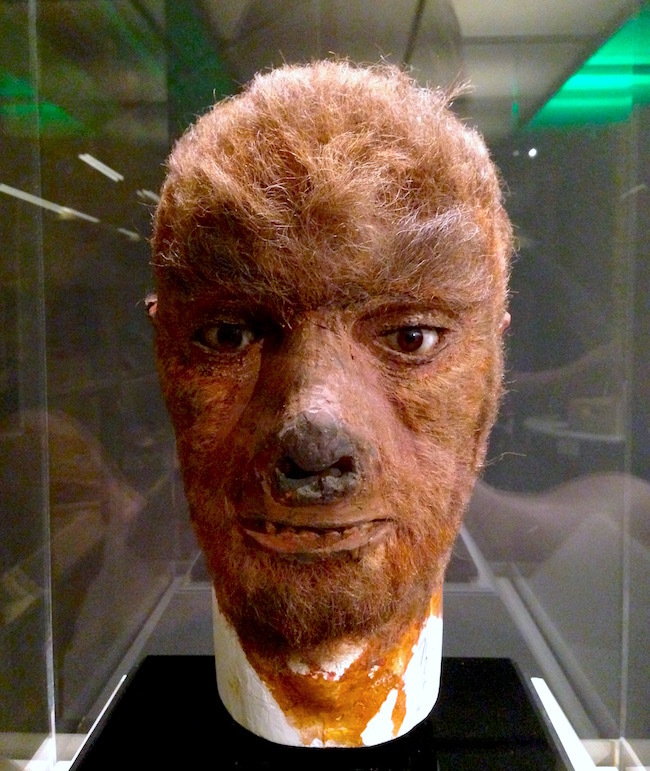 The most striking features are the costume and prop-wearing mannequins, which stand out under spotlights in a darkened room, and allow you to see custom-sewn clothing up close and personal, seams and all. 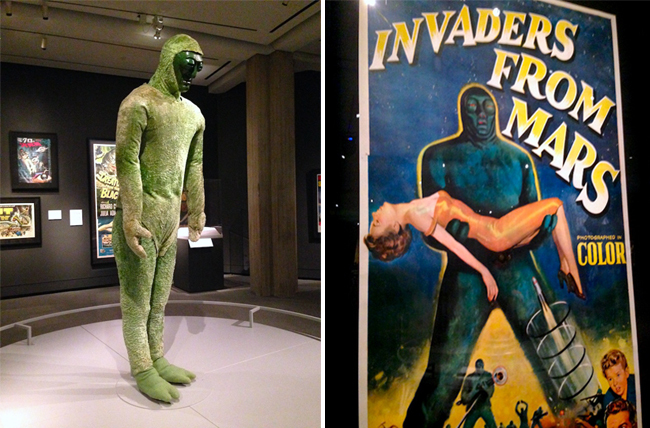 It’s hard not to notice the somewhat shoddy quality of a piece like the Invaders from Mars creature’s suit, which by today’s standards reads like a homemade halloween costume. 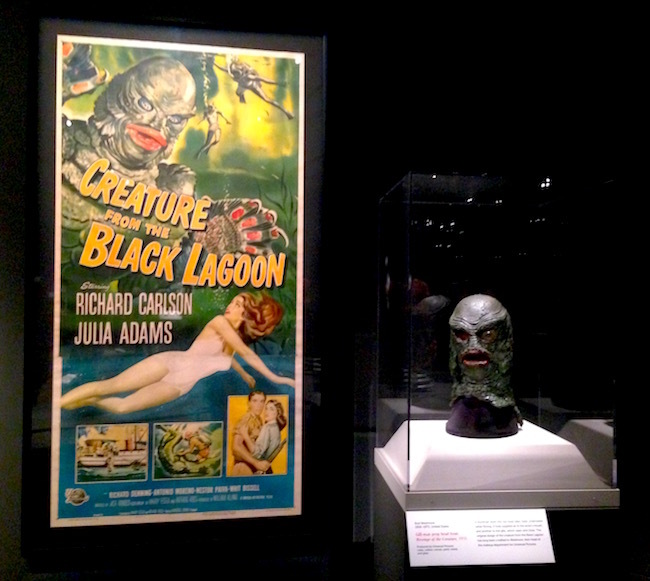 All of it adds to the creepy, vintage message of the exhibit, though, and it gives a thrill to see genuine movie props, like the Creature from the Black Lagoon’s mask, in person. 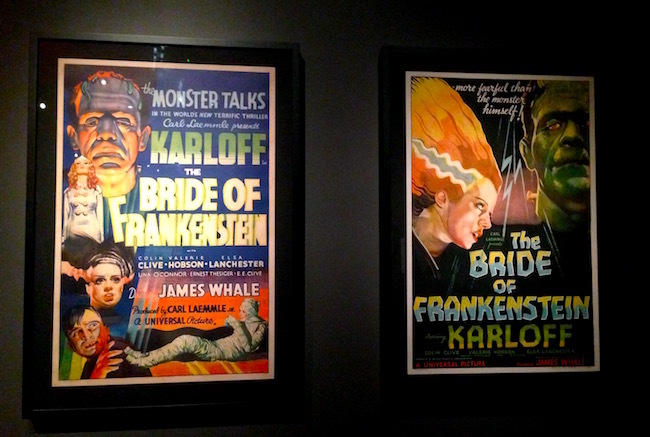 Also included in the exhibit are vintage horror and sci-fi toys, vintage lobby cards (small movie posters designed to be displayed in theater lobbies to lure in potential viewers via artful depictions of key movie scenes) and a large-scale promotional cutout of King Kong, which nearly grazes the ceiling. 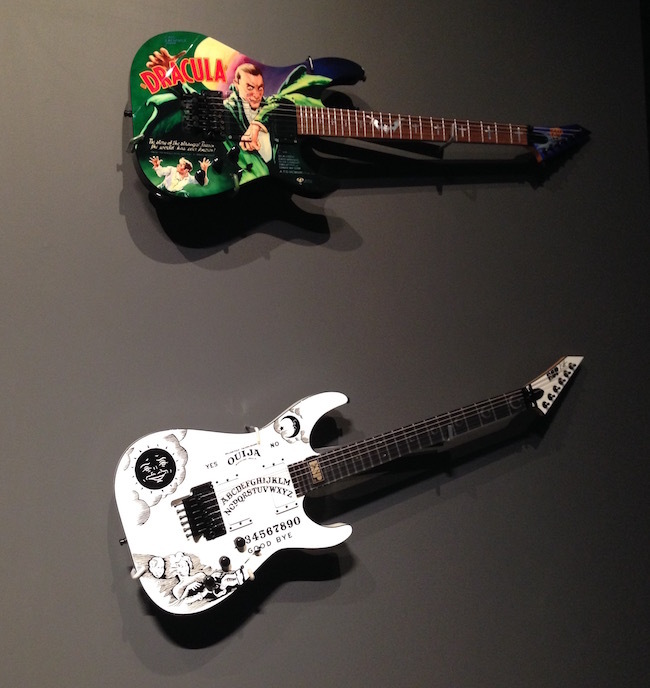 One wall is dedicated to horror-themed painted guitars belonging to Hammett, featuring designs such as a ouija board print and a Dracula scene. 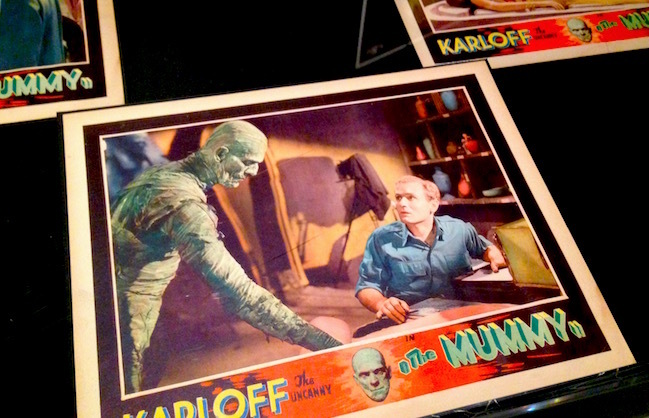 You’ll even find some original paintings which were used as cover art for the vintage magazine Creepy. 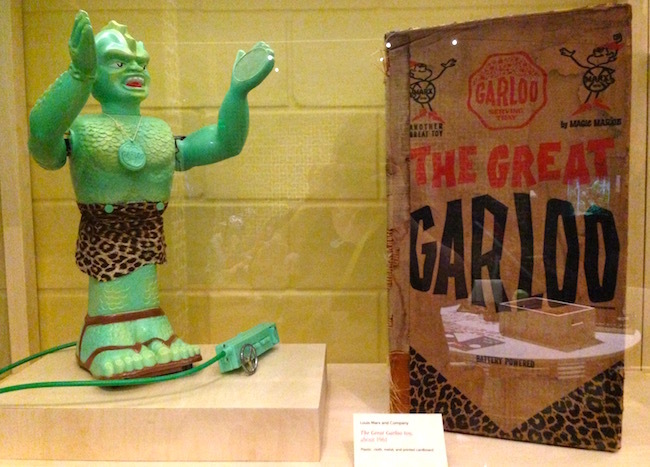 There’s a book of the exhibit pieces and more available in the museum gift shop, and you can peruse the pages in the exhibit, as well. 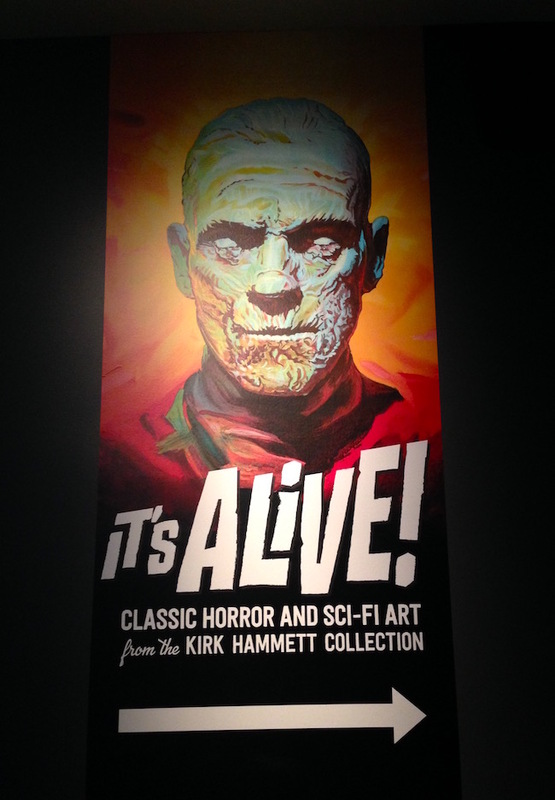 The It’s Alive! 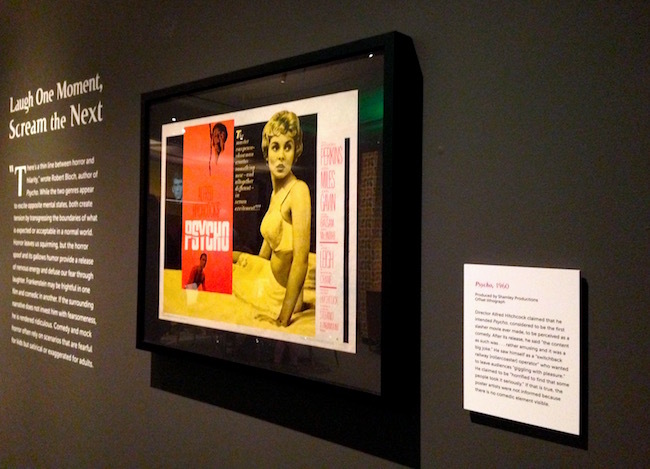 exhibit runs through November 26, 2017. 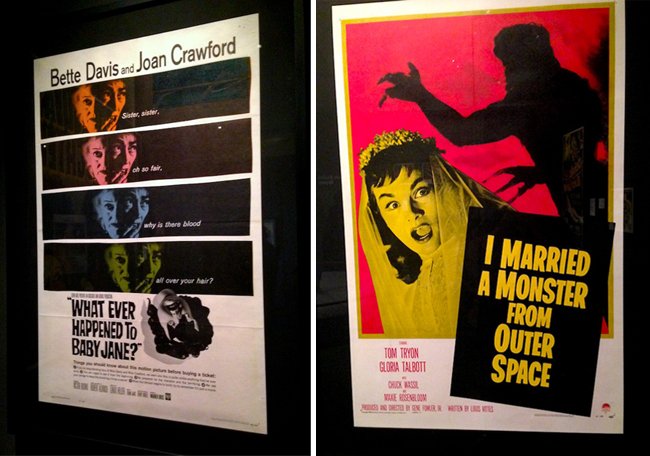 What's your favorite vintage horror movie? 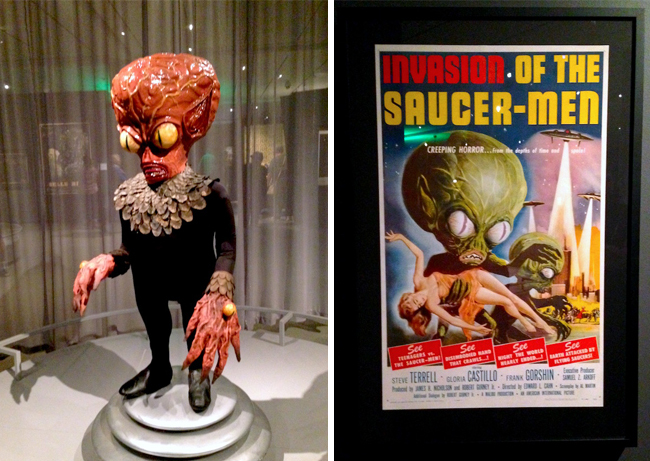 Is there any memorabilia you collect?